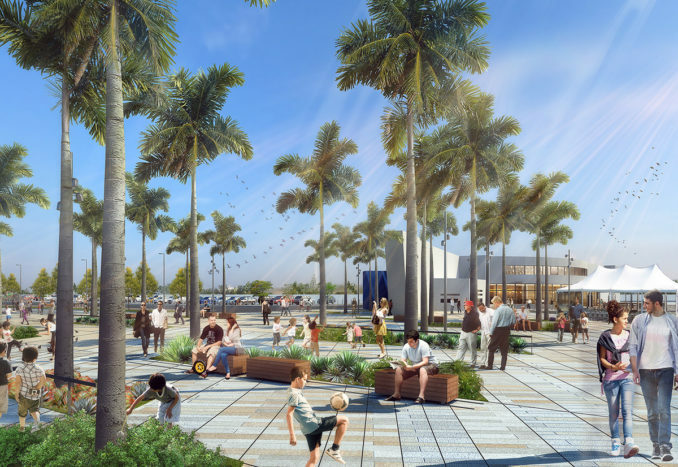 Once well-connected to the natural beauty of the Pacific Ocean, Los Angeles’ Wilmington neighborhood had slowly been separated from the coast by the expansion of the Port of Los Angeles—a major maritime industry powerhouse. 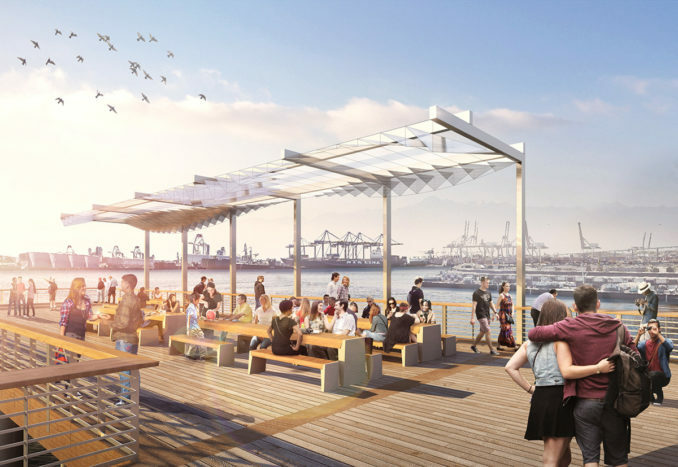 As the busiest container port in North America, and a major source of economic vitality for the neighborhood and region, the port committed to enhancing public access to the waterfront for the local harbor community, in order to expand its role as both key attraction and economic driver for the area. The value of an interdisciplinary design intervention in meeting this commitment was unmistakable. 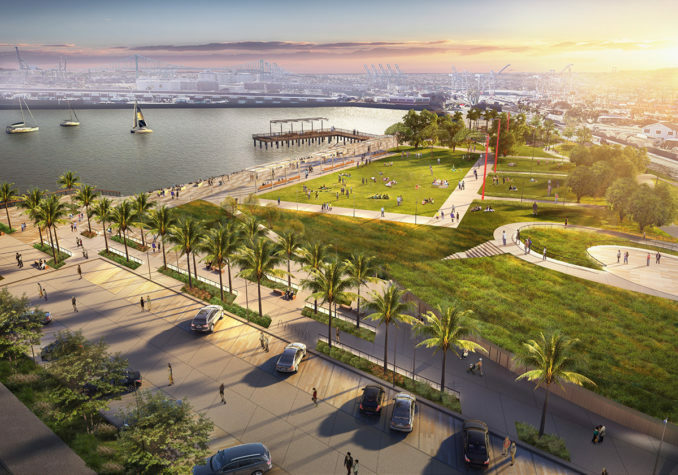 Sasaki first collaborated with the Port of Los Angeles and its staff, members of the community and all affected agencies to craft a master plan that both created a natural buffer between Wilmington and the Port’s operations, and identified ways in which equal access to natural resources for Wilmington’s primarily Hispanic residents could co-exist with industry. 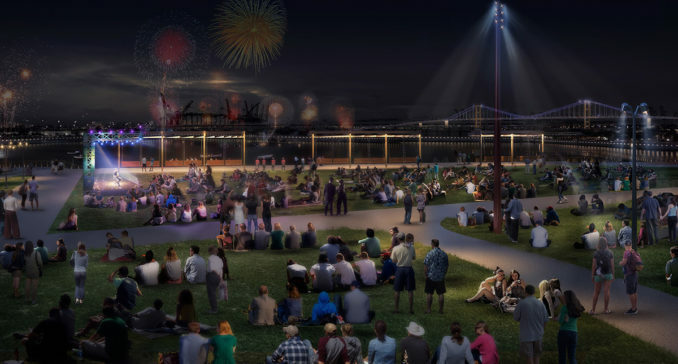 At the conclusion of the master plan, Sasaki identified three open spaces for implementation: the Wilmington Waterfront Park, the Avalon North Streetscape and the Wilmington Waterfront Promenade. 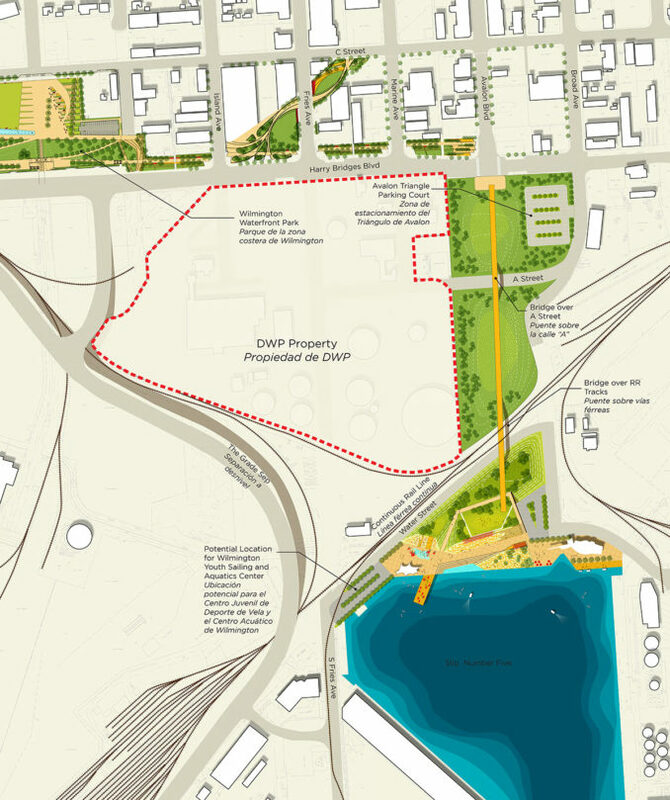 The port has implemented the waterfront master plan in two primary phases. 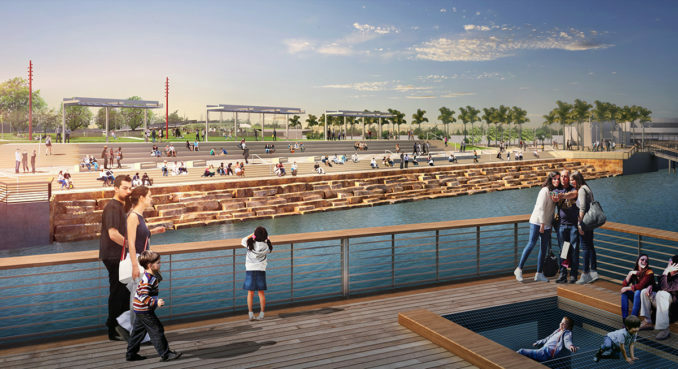 The first phase opened in 2011: the Wilmington Waterfront Park transformed a brownfield site into a 30-acre park that runs parallel to the coast and provides a buffer between the community and the port’s operations. 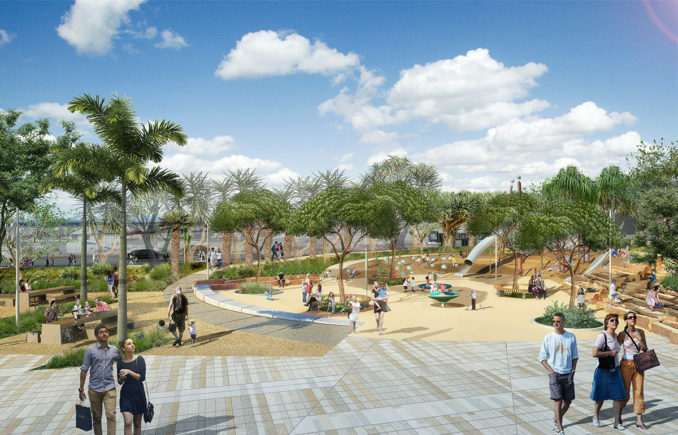 The second phase, currently under development, is connecting the park and the community to the ocean. 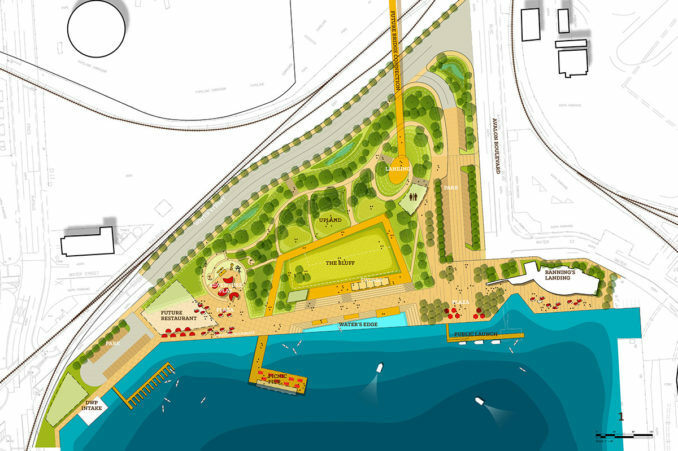 The new L-shaped ribbon of green development will connect the Industrial District and Avalon Corridor with the new Waterfront Promenade. 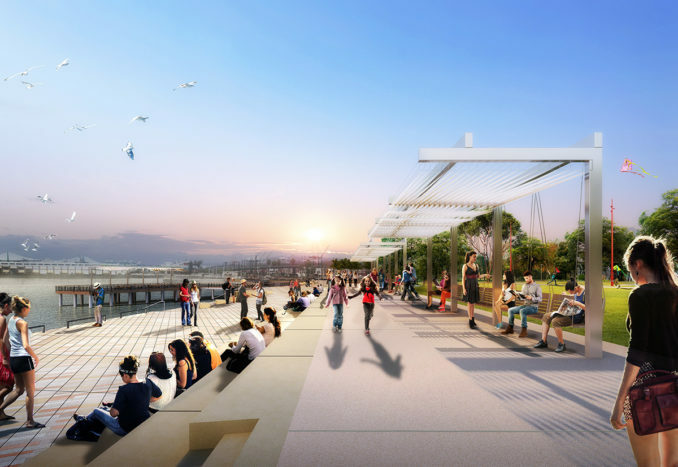 A future land-bridge connection will carry Angelinos and visitors over the industrial port sites to arrive in the space of the promenade—a grand entrance, opening to a sweeping view of LA harbor from the top of a sculpted landform, which cleverly nests the restrooms and services underneath the dome of earth.